We voted again in primaries for 2016 Presidential Election. Here is the same drawing from 2008 in color. As American By Choice we give importance to the value of a vote. It is time to vote in the general elections on November 4th. It is a huge responsibility to participate and elect our next president, other public functionaries, and to decide on several amendments. Our decisions are important and the weight of those decisions are heavy. The “I voted” sticker represents the weight of our decisions. It marks us for doing both our duty and our right to vote. 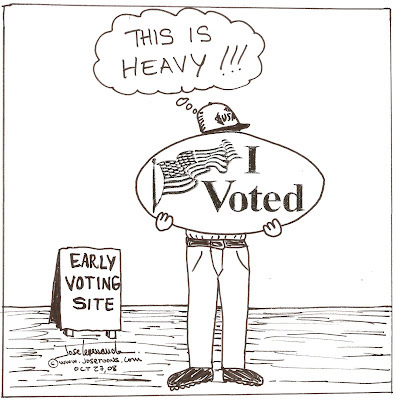 The “Early Voting Site’ sign shows us that we believe in our electoral system. We can vote before and know that our vote will be counted. Please remember to vote. 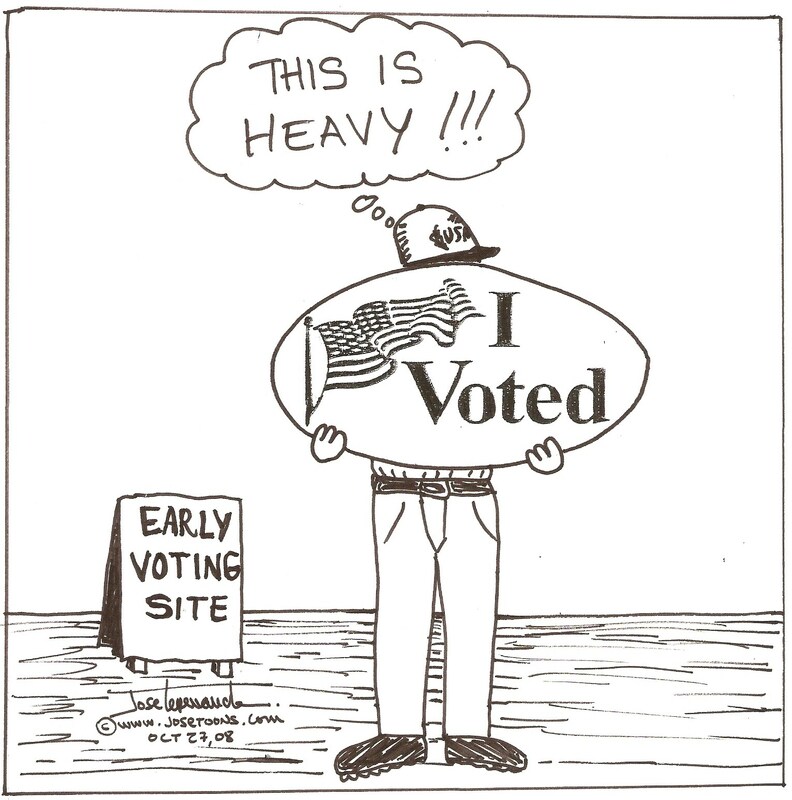 It is heavy but you will feel lighter after voting. My wife and I voted for the first time in a US presidential election and we feel great and grateful. This entry was posted in Eventoons, Uncategorized. Bookmark the permalink.